The Fort Wayne Philharmonic can trace its origin to the Verweire Symphony Orchestra, founded in January 1924 by conductor John L. Verweire. Not long after the founding, Verweire asked his orchestra of 63 musicians to change its name to the Fort Wayne Symphony Orchestra. After 4 years, Verweire resigned and the orchestra disbanded due to insufficient financial support. After a short time, the orchestra was reorganized with Emil Bouillet as conductor. Each musician was required to sell tickets for the concerts, and banners were stretched across Calhoun Street to advertise the concerts given at the Majestic Theater, the Emboyd Theater, and the Shrine Auditorium. Financial difficulties again forced the orchestra to disband. After some time, another meeting was called at Central High School to reorganize the orchestra and elect a new conductor, Gaston Bailhe. As the orchestra grew, a new vision developed. A board of directors was formed with Henry Simon as President. The name of the orchestra was changed to the Fort Wayne Civic Symphony Orchestra. This effort is viewed as the first attempt to organize an orchestra of this nature in a city smaller than most cities supporting an orchestra of its size. During the early 1940s, there was a strong undercurrent of dissatisfaction among some leading orchestra players who felt the Fort Wayne Civic Orchestra could improve with a better conductor. A strong voice was Agnes Nelson who often acted as concertmaster of the Civic Orchestra and taught violin at Concordia College. Nelson had moved from Duluth where their orchestra had vastly improved under a more capable conductor. Nelson and other musicians began talking to board members about engaging guest conductors for the following season. There were many promises, but only one guest conductor, Victor Kolar from the Detroit Symphony, was apparently asked. At the Civic Symphony’s spring board of directors meeting, the 1944-45 concert season was announced with no guest conductor. Sympathetic to the musicians’ position, several board members resigned and left the meeting. A group of orchestra members circulated a petition asking the board for guest conductors during the next season. When Bailhe learned of the petition, he fired some 20 orchestra members who had signed the petition. The morning paper announced the cancellation of the concert for the following week due to guest artist Nino Martini’s illness. The following day the paper carried the true story. A meeting was then called for those interested in forming a new orchestra. The 25 people attending left the meeting energized. About 50 people attended a fruitful second meeting the following week. A steering committee was elected, and those in attendance were asked to recruit members of the Philharmonic Society at $2.00 a person, the fee to be applied to season tickets. By the third meeting the following week, over 1,000 people had joined the Society. They elected Carol Light president and Armond Gemmer business manager. 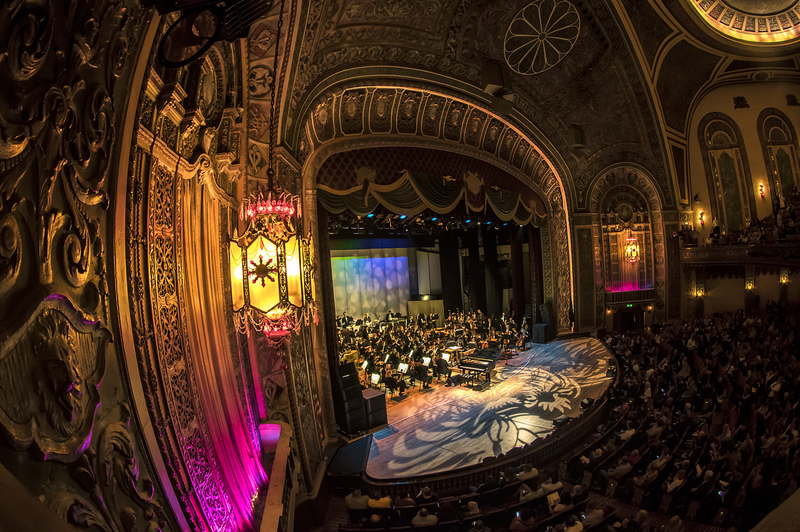 The Society’s goal was to be the best orchestra in a city of Fort Wayne’s size. On June 13, 1944, the Philharmonic Society of Fort Wayne, Inc. was incorporated. The steering committee began their search for a music director, asking the help of Arthur Judson of New York, president of Columbia Concerts. Mr. Judson suggested they speak with Hans Schwieger, who had recently moved to the United States from Germany. Judson felt Fort Wayne’s German community would be a good fit for both. Maestro Schwieger became Fort Wayne’s first full-time music director and was contracted for $1,000 a month for the 1944-45 season. The inaugural concert was held at the newly refurbished Palace Theater on October 18, 1944. The mood was festive, and the orchestra was wonderfully received by the Fort Wayne community. “Hans Schwieger’s readings reflected mature scholarship and gave proof of painstaking care. The orchestra was on its mettle and played with spirit and infectious enthusiasm,” wrote Walter A. Hansen, the News-Sentinel critic. He also commented that Mr. Schwieger conducted the entire program from memory. The first season was an artistic success thanks in part to such great artists as William Kapell. The first season was composed of five subscription classical concerts, two pops concerts, and one children’s concert. Maestro Schwieger was a musician of the highest quality. He brought out the best in his musicians. Schwieger, a widower, met Mary Fitzpatrick Schields in Fort Wayne. Not only was he loved by his audience, but he was loved by Mary, whom he soon married. For the community, a highlight of Schwieger’s tenure was “The Children’s Crusades.” The concert showcased a children’s chorus of 250 and an adult chorus of 150. Time Magazine featured the event in the city notice section. In November of 1946, Good Housekeeping Magazine featured Maestro Schwieger in an editorial. In December of 1946, the Fort Wayne Philharmonic was featured on National Broadcasting Company’s series “Orchestras of the Nation.” Fort Wayne’s orchestral dream had come true. In order for the orchestra to have a strong, broad base of community support, outstanding business and industry leaders were recruited to serve on the board of the new Fort Wayne Musical Society, Inc. Leaders such as Frank Bohn, President of the Telephone Company; James Barrett, attorney; Frank Freimann, Vice President of Magnavox; and Byron Sommers, President of Medical Protective Company, were recruited. Freimann was elected President of the Society. During the summer of 1944, the board realized the need for a volunteer support group to assist the orchestra and its board. Monica Agnew was asked to take on the project. She spent hours talking to Fort Wayne women resulting in a large group willing to support the new orchestra. Mrs. Irwin Deister was asked to become the first President and assumed the lead in forming the new organization, the Women’s Committee. Financial support for the orchestra increased dramatically, and the orchestra was able to enlarge its program for 1945-46. The Philharmonic’s home was moved to the Shrine Theater, then the Quimby Auditorium, with a 2,200-seat capacity. In the early days of the Philharmonic, many of the musicians were imported, often from Chicago. This was expensive. Much of the extra financial help came from Magnavox Vice President, Frank Freimann. Today we have the Freimann String Quartet and the Freimann Concert Series, thanks to Mr. Freimann’s generous endowment gift to the orchestra. In the 1947 Radio Retailing Yearbook, the Philharmonic was listed among 50 non-recording orchestras, and it was one of 13 with an asterisk beside its name. A footnote accompanying its listing explained that an asterisk before the name of an orchestra indicates especially high artistic standing of both orchestra and conductor. The orchestras in Milwaukee, Seattle, New Orleans, and Houston had no asterisks. In the spring of 1948, Isaac Stern performed with the Fort Wayne Philharmonic. That year Hans Schwieger ended his fourth season in Fort Wayne. He moved on to be Music Director of the Kansas City Philharmonic, which was quite an opportunity for the young conductor. Maestro Schwieger left a great legacy – one that we are grateful for today – an orchestra the Fort Wayne community is extremely proud of. He died in October 2000. Maestro Schwieger was succeeded in the summer of 1948 by Igor Buketoff. Mr. Buketoff had been conducting opera in Paris and was a popular guest conductor in the United States. Buketoff, who had received his B.S. and M.S. degrees from the Juilliard School of Music, was the youngest conductor of a permanent orchestra in the country. In 1948, the Fort Wayne Philharmonic was heard on an NBC coast-to-coast broadcast. This broadcast was followed by a feature story about the orchestra and its conductor in Newsweek magazine. In 1949 a magazine booklet called Public Opinion Quarterly, published by the Princeton University Press, printed the results from a survey in which American youth were asked if they would prefer moving to a large community. There were only two cities in which the majority of young people said they preferred to remain in their hometown. One was Fort Wayne. When the youngsters were asked why they would rather stay in Fort Wayne, one of the first reasons given was their excellent Philharmonic Orchestra as well as other cultural advantages. This survey was used by Look magazine which ran a feature story on Fort Wayne, “American’s Happiest Town,” singling out the orchestra as being among the great contributors to this title. The board of directors revised its budget, cutting it from $100,000 to $55,000. 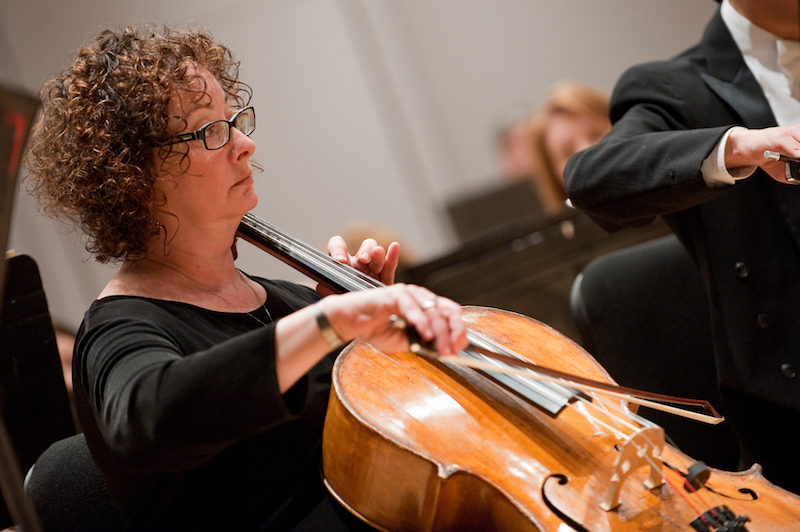 Orchestra members had to be cut, and funds were decreased for guest soloists. Buketoff was creative in hiring guest artists and prevailed upon friends in New York City to perform in Fort Wayne. Judging from local newspaper reviews, the orchestra held its town. Some of the outstanding performing artists were Nathan Milstein, Gyorgy Sanders, and Claudio Arrau. Maestro Buketoff also attracted fine pops stars. An interesting example occurred on April 15, 1952. Hoagy Carmichael dedicated his first performance of “Take Your Time” to all the girls in Fort Wayne, and in September 1952, a pops concert featured the very popular Benny Goodman. Another crisis loomed for the Philharmonic at the end of the 1950 season ticket campaign; only half of the season tickets at the Scottish Rite Auditorium had been sold. The board of directors was gravely concerned and considered canceling the season. Principal flute, Al Verweire, suggested a door-to-door sales campaign by musicians. Every night orchestra members took to the streets ringing doorbells. Marie Heiney, violinist, canvassed her hometown of Huntington and wrote many articles for her local newspaper. The Fort Wayne musicians also wrote many newspaper articles. The News-Sentinel published stories nearly every day, often with pictures. Cliff Milnor also ran many stories in his column. Igor Buketoff returned from his summer in New York to help. Chorus members joined the effort. By the end of August, nearly all season tickets were sold. Mention must be made of Hugo Gottesman, concertmaster emeritus of the Philharmonic. The Nazis had cut off his successful career in Austria, and in 1953 Gottesman arrived in Fort Wayne. Gottesman was a popular concertmaster and member of the Philharmonic’s string quartet for fifteen years. His last concerto with the orchestra, played in pain (he was soon to be diagnosed with cancer), was felt to be his finest. Gottesman died on January 12, 1970. Buketoff continued to bring marvelous orchestral music to the community and to feature outstanding world famous artists. His list included Marian Anderson, contralto; William Warfield, baritone; Joe Iturbi, pianist; John Browning, pianist; Isaac Stern, violinist; Philippe Entremont, pianist; Van Cliburn, pianist; Andres Segovia, guitarist; and Eileen Farrell, Metropolitan Opera Star. On November 21, 1957, the Fort Wayne Musical Society, Inc. changed its name to the Fort Wayne Philharmonic Orchestra, Inc.
Igor Buketoff resigned in 1966 after 19 successful seasons leading the Philharmonic. Buketoff’s innovations were many: establishing the 26-member Fort Wayne Sinfonietta, enabling performances in outlying areas; organizing the Philharmonic Chorus; starting in-school string quartet performances; starting a series of children’s concerts; presenting the first youth concert; and establishing a Saturday Student Series for young music lovers. During his tenure, the orchestra achieved its first collective bargaining agreement between management and the local Union #58. He was also a champion of American music. After a year of guest conductors, James Sample followed Maestro Buketoff as Music Director of the orchestra from 1967 until 1970. Sample reactivated the Philharmonic Chorus, inactive since 1961. He established the woodwind quintet and increased the coffee concerts to eight. According to a Journal Gazette article, he left Fort Wayne “on a less than harmonious note.” Sample explained his departure as personal and due to having musical disagreements. Thomas Briccetti was music director from 1970 until 1978, sharing his time first with the Cleveland Institute of Music and then with the Omaha Symphony. He brought the now-famous Eve Queler to Fort Wayne briefly as assistant conductor. Briccetti had great talent and energy. He was also an accomplished composer and received, among many honors, the Prix de Rome for composition in 1958-59. He expanded the core of full-time musicians, which was a huge step forward. 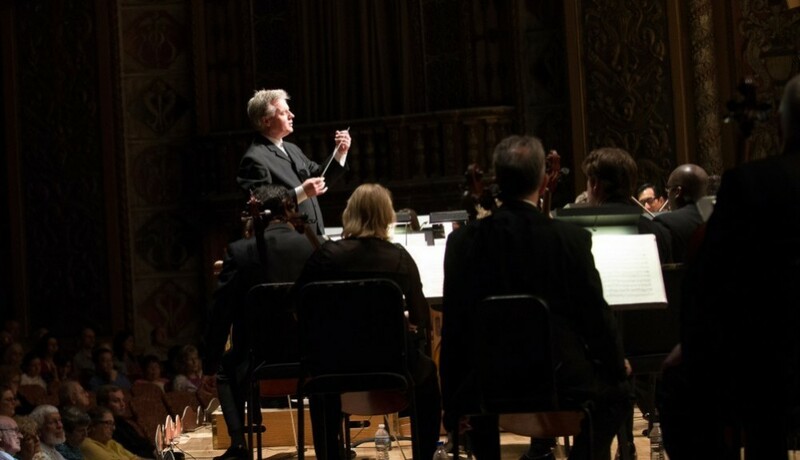 Maestro Briccetti started the second Indiana Chamber Orchestra that performed its own series. He established family concerts and the Sundays at 8:00 series. He also brought fine soloists including Janos Starker, cellist; Arthur Fiedler, conductor; Ruggiero Ricci, violinist; and Lorin Hollander, pianist. Briccetti introduced Little Turtle Concerts for children 4 to 8 years old and enlarged the in-school program to 52 schools in surrounding counties. The Philharmonic moved its full orchestra concerts from the Scottish Rite Auditorium to the newly remodeled and redecorated Embassy Theatre at the beginning of the 1975-76 season. Under the leadership of Robert Goldstein, the community had saved the Embassy from the wrecking ball. The opening concert was exciting, and the audience was delighted with the acoustical improvement and beauty of the hall. Maestro Briccetti resigned effective the end of the 1977 season, a season of guest conductors auditioning for the music director position. Briccetti became the full-time music director of the Omaha Symphony and then moved to Italy as conductor of orchestras in Perugia and Bergamo, Italy until his death on May 27, 1999. After the year-long search, Ronald Ondrejka, music director of the Santa Barbara Symphony for eleven years and chairman of the conducting program at University of California at Santa Barbara, was chosen to be the new music director of the Fort Wayne Philharmonic. Maestro Ondrejka had previously been assistant conductor of the Buffalo Philharmonic and associate conductor of both the Cincinnati and Pittsburgh Symphonies. His first season in Fort Wayne was 1978-79. In 1979, free pops concerts were started at the Foellinger Theatre in Franke Park and at the Embassy Theater. Pauline Cronin (Ware Silva) donated a Steinway piano to the Philharmonic that was dedicated on November 7, 1979, at a concert featuring the outstanding pianist Emmanuel Ax. The Spectrum Series was created in 1982 featuring the chamber orchestra. The series of eight concerts was held at the Performing Arts Center (now the Arts United Center). Also at the PAC were the Gallery Players in the upstairs open area; this was the forerunner of the Freimann Series of small ensemble concerts. One of Ondrejka’s strong priorities was music education for young people. On his watch, the Young People’s Concerts on school time were established. The first concerts in the spring of 1979 featured the winner of the young people’s competition, 16-year-old cellist, Jennifer Cast. In October 1984, the Frank Freimann Charitable trust donated one million dollars to the Philharmonic endowment fund. The purpose was to develop staff, create the Freimann String Quartet, and underwrite the Freimann Chamber Music Series. The Philharmonic’s quartet was renamed the Freimann String Quartet, and the series was established on October 9, 1985. Peter deVries, first violin; Lenelle Ross, second violin; David Johnson, viola; and Samuel Smith, cello, made up the first quartet. It was a superb, spirited ensemble. In 1984, Ondrejka brought former music director Thomas Briccetti back to Fort Wayne. Briccetti conducted the world premier of his new orchestral suite. Maestro Ondrejka continued the tradition of bringing world-class soloists to play with the Philharmonic. A few of the artists here during his tenure were Joshua Bell, violin; Rudolph Firkusny, piano; Margaret Hillis, conductor; James Galway, flute; Harvey Pittel, saxophone; and Chet Adkins, guitar. Maestro Ondrejka announced his retirement on March 19, 1992, effective at the end of the following season, his fifteenth as music director of the Philharmonic. During his tenure, Ondrejka had increased the number of full-time musicians to 42, increased the Grand Concerts series to nine performances and the Spectrum concerts to eight, and established the Freimann Chamber Series. Ondrejka improved the quality of the orchestra under his leadership. He espoused new music to the delight of the orchestra and education of the audience. His final concert was April 30, 1993, a reprise of his first concert on October 24, 1978. After auditioning conductors during the 1992-93 season, Edvard Tchivzhel was the unanimous choice of the Philharmonic’s board of directors. In February of 1991, Edvard, his wife Luba, and their son Arvid had defected to the United States after a tour of the United States with the U.S.S.R. State Symphony Orchestra. Tchivzhel was an associate conductor of the orchestra. Former Fort Wayne Philharmonic principal flutist Kay Borkowski brought Tchivzhel to the attention of the Philharmonic search committee. Borkowski had played under Tchivzhel several times in South Carolina. He was ultimately chosen as one of the 4 finalists. Edvard and Luba Tchivzhel became US citizens in 1999. Under Maestro Tchivzhel, the orchestra made great artistic strides. He attracted outstanding soloists to play with the Philharmonic. Budget constraints limited the number of well-known artists the orchestra could afford to bring to Fort Wayne, but he was successful bringing in young talent, often prestigious competition winners. During his tenure, several programs were created by Philharmonic president Christopher Guerin and his staff. “Hip Hop Pete,” an anti drug abuse program for 5th and 6th graders, received national acclaim. In 1996, the “Unplugged” series was started, featuring light classical concerts focused on a younger, more casual audience. Tchivzhel announced his final season would be in 2007-08. A search for a new music director was undertaken and the board appointed internationally renowned violinist Jaime Laredo as Artistic Advisor. The position was widely advertised, and more than 270 conductors from all over the world applied for the position. The 10-member search committee made up of board, musicians, staff and community narrowed the field to eight finalists who conducted two concerts each in the 2008-09 Season – one full orchestra and one chamber orchestra. Musicians and audience were surveyed after each finalist’s appearance with the orchestra. A new three-concert Family series was started in the 2008-09 Season. With only 200 people in the audience for the first performance at Auer Performance Hall on the IPFW campus, the series quickly grew in popularity and averaged over 500 per concert by the following season, with some performances reaching 1,000 in attendance. In June 2009, the Philharmonic announced Andrew Constantine as the seventh music director. Constantine was the Music Director Designate for the 2009-10 Season and assumed full-time duties in the 2010-11 Season. The Philharmonic’s endowment fund, established in 1966, has been an important factor in the growth and stability of the orchestra. The Fort Wayne Philharmonic was the smallest of the 60 orchestras nationwide to receive a grant from the Ford Foundation. The foundation’s matching grant offer was $250,000 to the organizations that could match their money within 5 years. The Frank Freimann Trust added $1 million to the original fund in 1984. Helene Foellinger’s Foundation in 1989 provided a challenge grant to help raise another $2 million. The NEA contributed $200,000 toward this campaign. The Fort Wayne Philharmonic is grateful to Quincy Baldwin for chairing the original campaign, and to Allen Steere for his diligent work making sure the Ford Foundation match was achieved. Leonard Goldstein and Eleanor Marine have also chaired successful campaigns. Currently the endowment fund is valued at about $16 million and has helped the Philharmonic support its core of 44 musicians. Due to increasing financial challenges, the Philharmonic administrative office was moved to the Ginsburg Building on the IPFW campus. This move was made possible by a very generous offer from Chancellor Michael Wartell to house the office at no charge to the Philharmonic, except for the cost of housekeeping and long distance telephone service. This move helped the orchestra realize more than $50,000 in annual savings. We applaud and thank the following Philharmonic musicians for their longstanding service to the orchestra and to the community: Eloise Guy, Ernest Zala, Sam Gnagey, Joyce Gowens, Naida McDermid, Alan Severs, and Adrian Mann. Thanks also to Agnes Nelson for her role in founding the Philharmonic and her many years of performance and outstanding teaching in our community.